Some historians believe that the cause of WW2 was UK prime minister Chamberlain’s appeasement of Hitler’s recovery of German territory given to other countries via the Versailles Treaty in contravention of US President Woodrow Wilson’s promise to Germany that there would be no reparations and no loss of territory if Germany agreed to an armistice ending WW1. I do not agree. The facts seem clear. The cause of WW2 was the gratuitous and unenforceable guarantee to the Polish military government given by Chamberlain that if Poland refused to hand German lands and populations back to Germany, Great Britain would be there to support Poland. When Germany and the Soviet Union made the deal to split Poland between them and attacked, Britain due to its stupid “guarantee” declared war on Germany, but not on the Soviet Union. As France was aligned by treaty with Britain, France, too, had to declare war. Because of the reign of propaganda in the West, hardly anyone knows this, but WW2 was started by the British and French declaration of war on Germany. Yet, it was the surviving members of the German regime who were put on trial by the US, UK, France, and the Soviet Union in Nuremberg for initiating aggressive war. 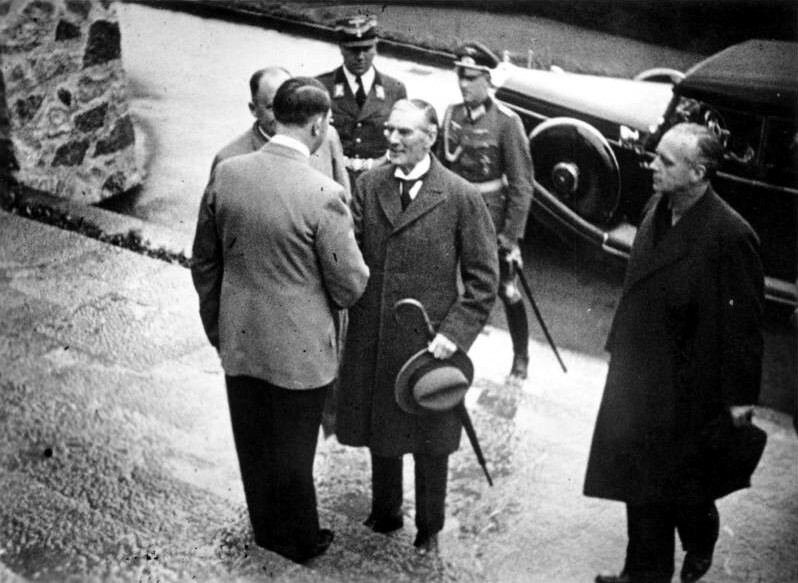 Nevertheless, as the general opinion is that Chamberlain encouraged Hitler to ever more aggressive actions by the British failure to respond, why has no one pointed out that the Russian government’s lack of response to Washington’s aggressive actions toward Russia encourages Washington to become more aggressive. This also is leading to war. The Russian government, like Chamberlain’s, has not responded to provocations far more dangerous than Chamberlain faced, because, like Chamberlain, the Russian government prefers peace to war. The question is whether the Russian government is avoiding or encouraging war by its non-response to illegal sanctions and propagandistic accusations and demonizations. Russia has even allowed Washington to put ABM bases on its borders with Poland and Romania. This is like the US permitting Russia to put missile bases in Cuba. Russia is disadvantaged because, unlike the United States, Russia is an open society, not a police state like the US where dissent is controlled and suppressed. The Russian government is handicapped by its decision to permit foreign ownership of some of its media. It is disadvantaged by its decision to accept hundreds of American and European financed NGOs that organize protests and constantly level false charges at the Russian government. The Russian government permits this because it mistakenly believes Washington and its vassals will see Russia as a tolerant democracy and welcome it into the Western Family of Nations. Russia is also disadvantaged by its educated upper class, professors and businessmen who are Western oriented. The professors want to be invited to conferences at Harvard University. The businessmen want to be integrated into the Western business community. These people are known as “Atlanticist Integrationists.” They believe Russia’s future depends on acceptance by the West and are willing to sell out Russia in order to gain this acceptance. Even some of Russian youth think everything is great in America where the streets are paved with gold, and some of the Russian media take their cue from the Western presstitutes. It is a difficult situation for the Russian government. The Russians mistakenly believed that the demise of the Soviet Union made us all friends. It seems only Gorbachev understands that the Soviet collapse removed all constraint on Washington’s hegemonic behavior. Few in Russia seem to understand that the enormous budget and power of the US military/security complex, about which President Eisenhower, warned in 1961, needs an enemy for its justification, and that the Soviet collapse had removed the enemy. The very minute that Russia stood up for its national interest, Washington filled the desperately needed category of “The Enemy” with Putin’s Russia. The Russian government and upper class have been extremely slow in realizing this. Indeed, only a few are beginning to see the light. This is a statement of Russian surrender. On July 30 Russian President Putin finally responded to the Obama regime’s orchestrated expulsion of Russian diplomats from Washington last Christmas and illegal seizure of Russian government properties in the Washington area by evicting 750 “American diplomats,” in reality agents working to undermine the Russian government. Putin could just as well have arrested them. It only took 7 months for Russia to respond to Washington’s hostile actions against Russian diplomats. A more realistic response than President Putin’s comes from Dmitry Suslov, deputy director of the Russian Council on Foreign and Defense Policy and program director of Putin’s Valdai Discussion Club. 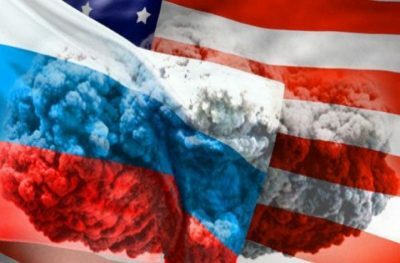 Suslov understands that the new illegal sanctions against Russia, in addition to their advantage for US energy corporations, are an act of aggression toward Russia, the purpose of which is to make impossible the improvement of bilateral relations between the US and Russia. “Perhaps, it is worthwhile to turn off cooperation with the United States on those issues which are necessary first of all for the US itself. For example, the US depends on Russia in the field of space cooperation. Perhaps there is a need to make adjustments and give up part of the programs of cooperation. It is worthwhile to think about increasing military cooperation between Russia on the American continent — I mean primarily to build up cooperation with Venezuela,” Suslov said. In Washington, anyone who departed as far as Suslov has from the delusions that hinder Russian decision-making would be fired. It will be interesting to see if Suslov has introduced more reality than is acceptable into Russian awareness of the threat that Russia faces from Washington. Is Russia a country so desperate to be part of the West that it is ruled by delusions and illusions? If so, war is a certainty.